Based on Daniel Clowes dark cult graphic novel of the same name, Terry Zwigoff’s first non-documentary feature presents a strange and fascinating look at adolescent sorrow. Enid (Thora Birch) and Rebecca (Scarlett Johansson) are two socially anomalous best friends who, after graduating from high-school, struggle to adapt to an adult world of disappointment. After setting up a prank meeting with a lonely heart subscriber, Enid strikes up an unusual friendship with middle-aged Seymour (an excellent Steve Buscemi), whilst loosening the bond between herself and Rebecca. A bitingly funny and tender film about the death of friendships and the agonies of maturity, Ghost World is a startling work of nuanced melancholy. A fiercely tense war movie, Kathryn Bigelow’s The Hurt Locker revisits the themes of her adrenaline-charged thriller Point Break by presenting characters who actively thrive on their dangerous pursuits. Naturally you’d expect any decent film about bomb disposal to generate a certain amount of nail-biting tension, but Bigelow heightens the strain further by casting well-known faces in discardable roles and framing each explosive encounter with a sincere depth of character. Staff Sergeant William James (Jeremy Renner) is a man totally addicted to war and, having diffused over 800 bombs, approaches each new engagement with steely arrogance and exhilarating glee. 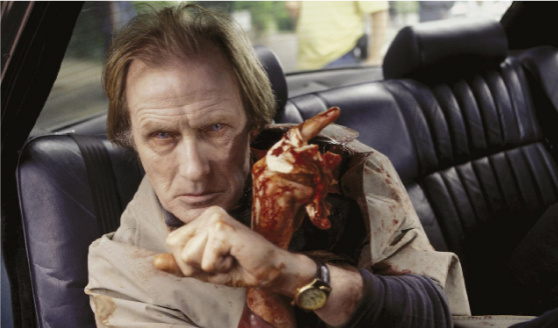 This film is not concerned with the politics or strategies of the Iraq war, but more interested in man’s insane addiction to warfare and the competitive machismo of the soldiers. 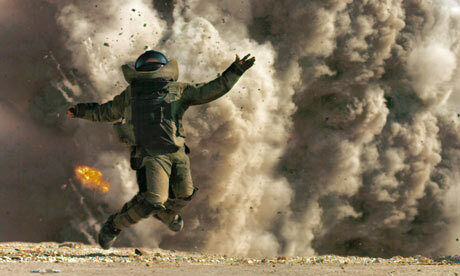 A brilliant, urgent and agonizing piece of cinema, The Hurt Locker is Bigelow’s best film to date and one of the great modern war movies. Inventing its own unique sub-genre of the rom-zom-com, Shaun Of The Dead pulled off an impressive feat by combining sweet romantic charm, genuinely horrific gore and side-aching comedy. But perhaps this successful blending of styles isn’t all that surprising, since they were all the hallmarks of the TV sitcom Space, the film’s direct stylistic influence. Space director Wright and cast members Simon Pegg and Nick Frost (and even Jessica Stevenson in a bit part) bring their groundbreaking 25-minute sitcom to the cinema and sustain the central zombies-in-suburbia theme for 100 minutes with brilliant invention, clearly revelling in their love of George A. Romero films. Hot Fuzz tried the same trick with action movies three years later but didn’t quite have the originality of Shaun Of The Dead. In Before Sunset Richard Linklater seamlessly recaptures the charm and impetuous joy of Before Sunrise nine years earlier, but now with an added poignancy of regret and the sense of lost opportunities. Set against the beautiful backdrops of Parisian cafés and winding paths, Ethan Hawke and Julie Delpy excel as the mature Jesse and Celine, still passionate about life’s great questions but clearly fractured by the intervening years of doomed relationships which seem like a direct result of their years apart. 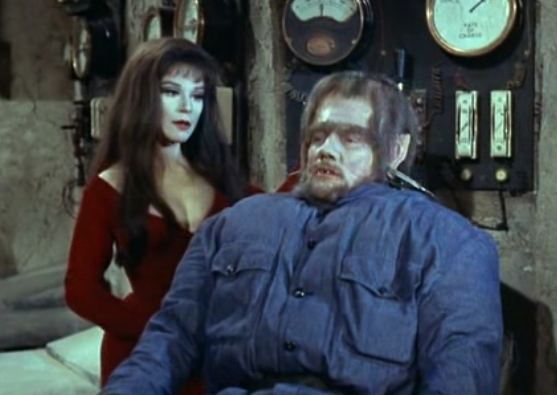 Handled with sweetness and subtlety, it’s the perfect conclusion to one of the screens great romantic pairings. The great guru of modern British comedy, Armando Iannucci, made an equally expert transition to the big screen with this ferocious satire on Anglo-American relations. When Minister for International Development Simon Foster (Tom Hollander) publicly states that war in the middle east is “unforeseeable”, he triggers a series of frantic political gesturing on both sides of the Atlantic from pro- and anti- war advocates, but he soon realises he’s being used as the pawn in an international game. Fans of The Thick Of It will be amusingly thrown by the presence of familiar faces with different names and professions – so Ollie becomes Toby, Terri becomes Roz, Sir Julius becomes Sir Jonathan. Perhaps Iannucci is implying that certain character types always recur throughout government and civil service. 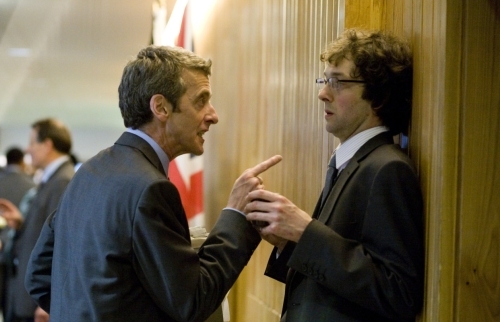 But of course there’s only ever one Malcolm Tucker and Peter Capaldi dominates the film with his insatiable prowling performance. Filmed in an immediate semi-improvised style and with a perfectly structured narrative, In The Loop is the most savage and incisive comedy this side of Network. 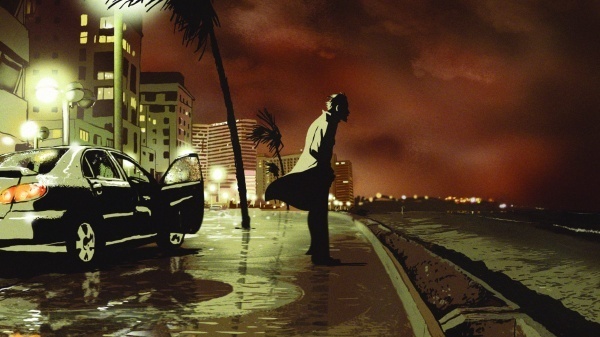 Essentially a documentary framed by the fictional meeting between ex-infantry soldier Ari Folman and an old friend with whom he shares his nightmares and fantasies about his role in the 1982 Lebanon War, Waltz With Bashir met with huge acclaim for its honest and striking depiction of a harrowing conflict. The film has a unique style, combining traditional hand-drawing and flash animation based on video footage, which proves the ideal medium for presenting Folman’s partly vivid, partly hazy recollections. His memories take on an almost hallucinatory abstract sense, emphasizing the horrors of the war but capturing them with an oblique beauty. As with Grave Of The Fireflies and When The Wind Blows, it takes an animated movie to artistically realise the all-too-graphic scenes of warfare and, like those two films, Waltz With Bashir is a work of devastating visual poetry. At the height of Joseph McCarthy’s communist witch-hunt in 1950’s America, pioneering TV news journalist Edward R. Murrow and his team were alone in defying pressures from sponsors and the CBS network in their attempts to expose the Senator’s ruthless tactics. 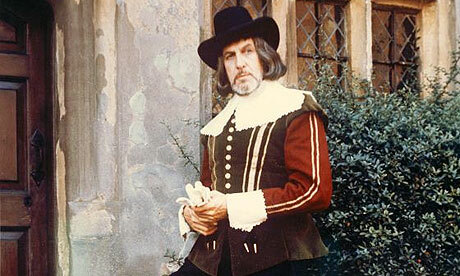 George Clooney had already made an impressive switch to direction with Confessions Of A Dangerous Mind, but with this real-life story he came up with one of the greatest dramas of the decade. Presented in gloriously evocative black and white, allowing for real footage of McCarthy to be seamlessly woven into the story, Good Night And Good Luck is a rousing tribute to the occasionally noble arena of broadcast journalism. As well as a superb period feel it’s hardly surprising that Clooney also shows real talent for drawing out great performances, as this is very much an actors film. Whether in the naturalistic style behind the scenes of the television show or the stirring dramatic hyperbole in front of the studio camera, the tremendous ensemble cast of Clooney, Robert Downey Jr, Patricia Clarkson, Jeff Daniels, Ray Wise and Frank Langella do sterling work. 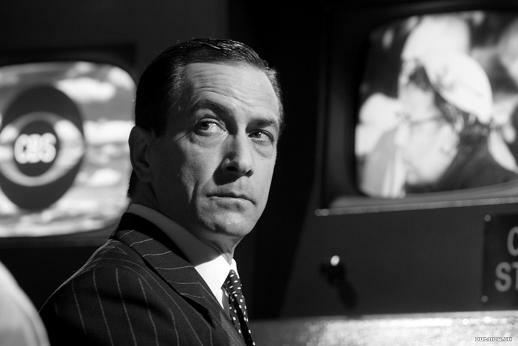 But the movie belongs to David Strathairn, whose stoic performance as Murrow is the heart and soul of the film. Critics who sneered at the pretensions of taking a ten-sentence children’s book and turning it into a 100-minute screenplay completely missed the point of Spike Jonze and Dave Eggers interpretation. 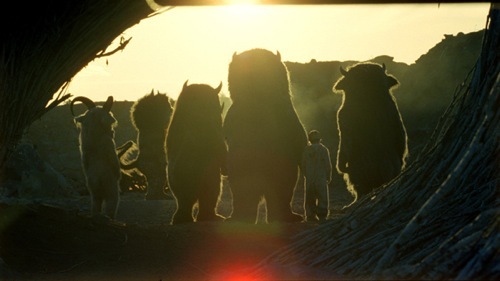 Where The Wild Things Are is clearly not an adaptation – it even ignores key elements of the book – but instead uses Sendak’s story as the springboard to a deeply personal examination of what it is to be a child dealing with all the extremes of emotion. One could go further – Max may very well represent every troubled soul trying to come to terms with the crazy world around them. Society, politics, religion, joy, sorrow – it’s all here, but being a Spike Jonze film means these ideas just happen to be played out by the supporting cast of Fraggle Rock. Praise must go to Max Records, who is on screen almost the whole time and handles his challenging role with remarkable depth for such a young inexperienced actor. Let the wild rumpus start! A film that threatened to topple Toy Story from Pixar’s creative apex, Finding Nemo became the decade’s benchmark by which all subsequent computer-generated films were measured, with only a few Pixar films living up to its own outstanding artistry. The story of a clownfish looking for his son across Australia’s great Southern Ocean provides an enthralling adventure ride packed with tumultuous thrills and smart comedy, set against an incredibly lush underwater landscape. 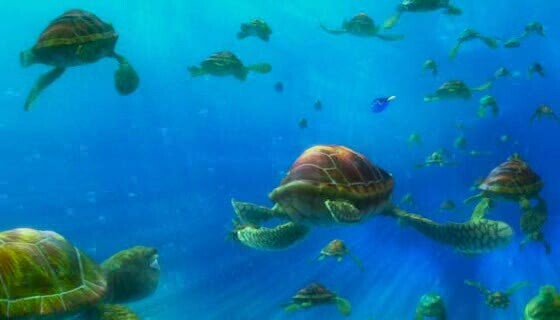 With a heartfelt emotional connection, shrewd widely accessible humour and gorgeous animated design, Finding Nemo is a film you’ll regularly want to search out. A year in the life of a rural German village before the outbreak of The Great War sees a series of unpleasant and unexplained incidents occur. 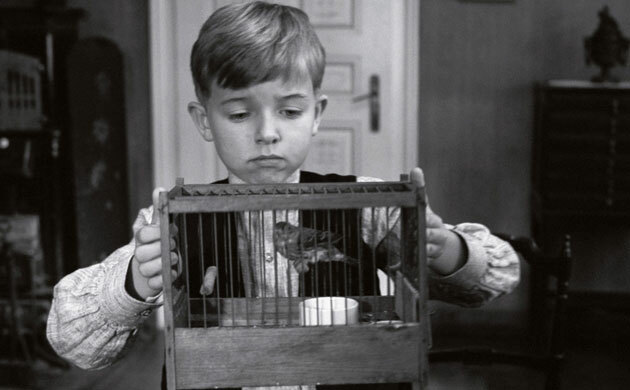 My initial reaction to The White Ribbon confounded my expectations in just the way Michael Haneke had surely hoped. No explicit sense of chilling horror or inciting dramatic tension, but instead a deeply troubling and uncomfortable feeling of unease. If this is Mr Haneke’s fictionalised reasoning for the rise of fascism in Europe then it’s a convincing argument. The strict religious morality of the village contrast sharply with the sudden abhorrent acts of evil, but the latter inhabits and nurtures the former like an internal rot. Haneke offers no simple resolution to mankind’s lurking malice (despite wagging his finger fairly sternly at religion and social hierarchies), but captures the bleak inevitability of it all in stunning black and white. This entry was posted on January 14, 2010 by fantasticvoyages. It was filed under 100 Films Of The Decade, 2000's, Lists and was tagged with Armando Iannucci, Edgar Wright, George Clooney, Kathryn Bigelow, Michael Haneke, Pixar, Richard Linklater, Spike Jonze, Terry Zwigoff.